The sister of King Arthur goes by many names: sorceress, kingmaker, death-wielder, mother, lover, goddess. The Myth of Morgan la Fey reveals her true identity through a comprehensive investigation of the famed enchantress’ evolution–or devolution–over the past millennium and its implications for gender relations today. While Western culture consistently seeks to control female sexuality by categorizing a woman’s identity into either a mother or a lover, i.e. a Madonna or a whore, Morgan offers a unique duality, a refusal to let her identity be fractured. Here, Kristina Pérez makes the connection between the tension between those two roles and Morgan la Fey’s descent within Arthurian legend from goddess to witch. 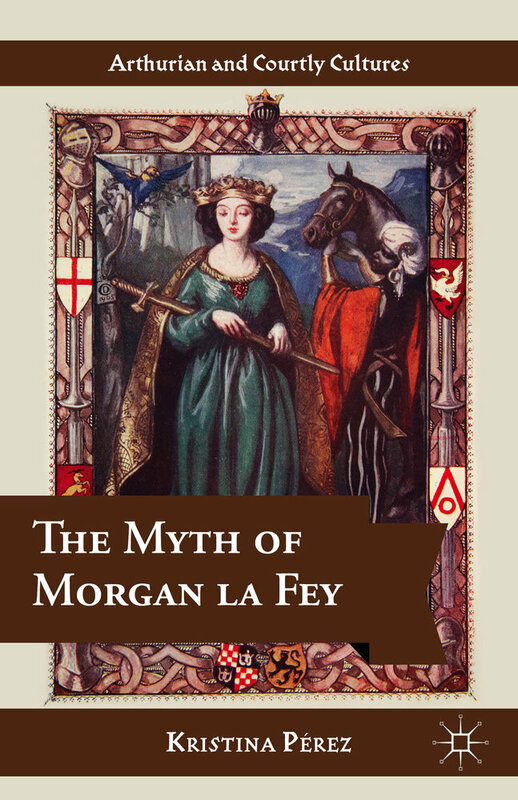 This fascinating and readable book traces the figure of Morgan la Fey from her origins in Irish Sovereignty legends via her development in medieval Arthurian romances through to her representation in modern popular culture, showing how the fairy serves as a focus for deep-seated anxieties about women and the feminine. This book draws authoritatively on many disciplines to throw new light on our ideas about love, power, and motherhood even today. Most importantly, it shows how many aspects of modern culture which we take for granted have their roots deep in Celtic mythology and its medieval elaboration. This book is recommended for anyone interested in the ethics of gender, the development of ideas about women and the feminine, and the long history of the Arthurian legends. This book takes a character everyone has heard of––Morgan la Fey––and reveals in an accessible and engaging way the unknown secrets of a female sorceress who has bewitched writers for over a millennium. Kristina Pérez hits all the right notes in her work on Morgan la Fey and she does so with an irresistibly light touch. She understands the Celtic origins and the French and English versions in which the story has come down to us and she brings to bear on the material a balanced feminist reading plus a rich understanding of the complexity of the character. Pérez has all the scholarly apparatus down and she also visibly loves her material. This is a classic study of a misunderstood woman that offers a unique view of how well the medieval world, that often seems so distant from us, can touch and inform a modern sensibility. With passion and subtlety, Kristina Pérez reveals the power and perennial nature of the myth of Morgan la Fey. She illuminates why Morgan remains––from ancient goddess to medieval enchantress––an important presence in contemporary popular culture. Both the embodiment of different possible femininities as well as various masculine fantasies, Morgan la Fey is a modern figure in the constant process of reinvention. The greatest strength of Pérez’s work is simultaneously guiding the reader through Morgan’s metamorphoses while ensuring her audience remains cognizant of the significance of each new incarnation. —Professor Christelle Taraud, Member of the Centre d’Histoire du XIXe siècle (University of Paris I/University of Paris-Sorbonne IV).